I know what you mean – when I go clothes shopping I usually seem to come away with books and tea cups, but nothing wearable! LOL! 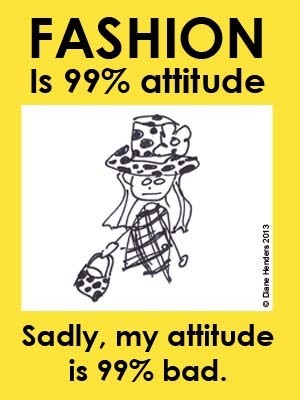 I have a bad attitude about shopping, too. Well, unless it involves a book store. Isn’t that the truth? Especially when there’s something in particular you need to buy. Grr. I hear you. When I go to the mall, it’s in and out. Get what I came for and then flee! It’s so much more fun when it’s just a social occasion! BOY, can I relate! BWAAAHAAAAHAAA!! !